Manu Bennett Returning To ‘Arrow’ In Upcoming Sixth Season! 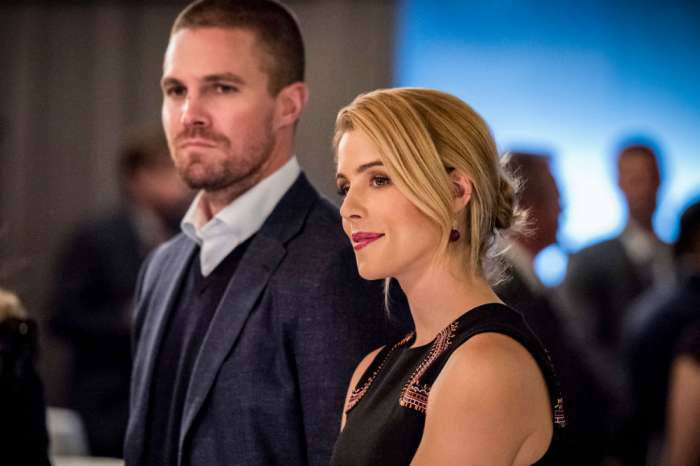 In May, fans of The CW’s Arrow were in for a treat when actor Manu Bennett made a surprising and long-awaited return in the show’s season finale. Now, series star Stephen Amell has revealed that Bennett will be back when Arrow returns this fall — and it could be more than just another one-off appearance. Bennett starred in Arrow‘s first season as the recurring character Slade Wilson, aka Deathstroke, before being promoted to a series regular in Season 2. After killing Oliver’s mother, Slade was captured and imprisoned on Lian Yu, the island the two were originally stranded on when the show began. Bennett returned for one episode in Season 3, but like most fans of the show, he was unhappy with the storyline and openly shared his frustrations on social media and in interviews. It was for that reason that most fans didn’t expect to see his character ever again, but he apparently patched things up with producers in order to make his surprise appearance last season. Bennett currently has a main starring role as Allanon on The Shannara Chronicles, which debuted on MTV last year before moving to SpikeTV this summer. Filming on that show took place in New Zealand around the same time the Arrow season finale was filmed, which was another reason fans doubted he would appear.